Features: Microfiber Cleaning Cloth. 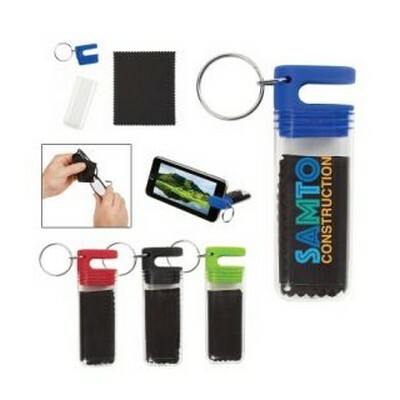 Silicone Cap Holds A Variety Of Phone Sizes For Easy Viewing. Protective Plastic Travel Case. Split Ring Attachment. Price includes : 1 COLOUR 1 POSITION PRINT. Setup is included.